Experimental, sparkling, adventurous, pioneering, and simultaneously in the worlds of both traditional and contemporary harp music. 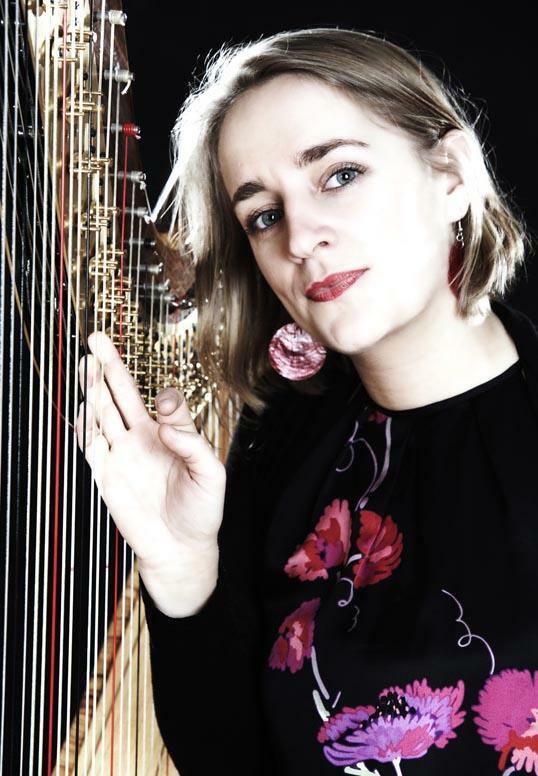 German harpist Miriam Overlach, 33 years old, has lived in Amsterdam since 2001. In 2007 she finished her studies with professor Erika Waardenburg, to whom she partly owes her fame and success. A teacher with a nose for talent, she was also responsible for bringing 'Wunderkind' Remy van Kesteren to the top. In addition to her work playing the harp. 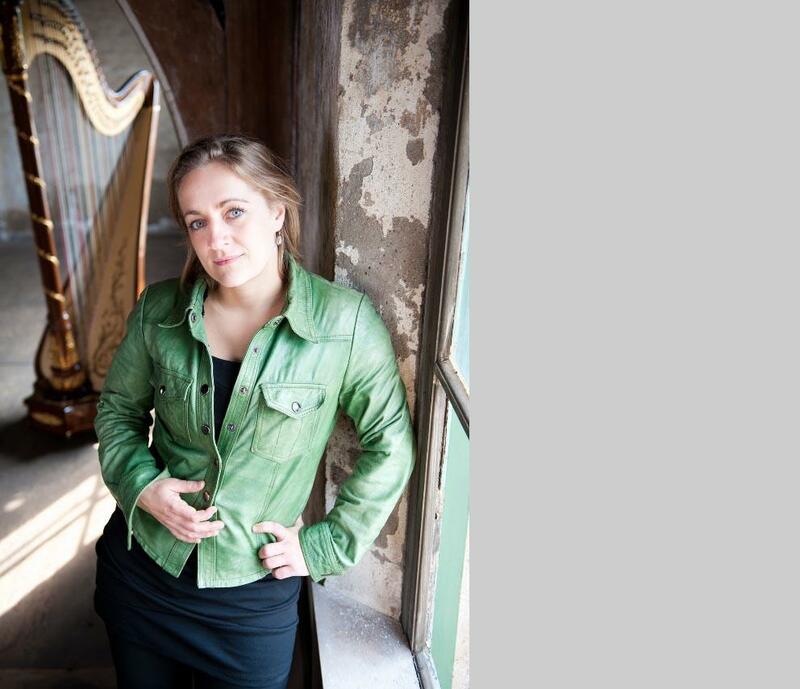 Miriam is the artistic coordinator for the composition competition in the Dutch Harp Festival, which will take place in late February of 2014. She seems to have more than enough energy to stay busily involved in the harp community. 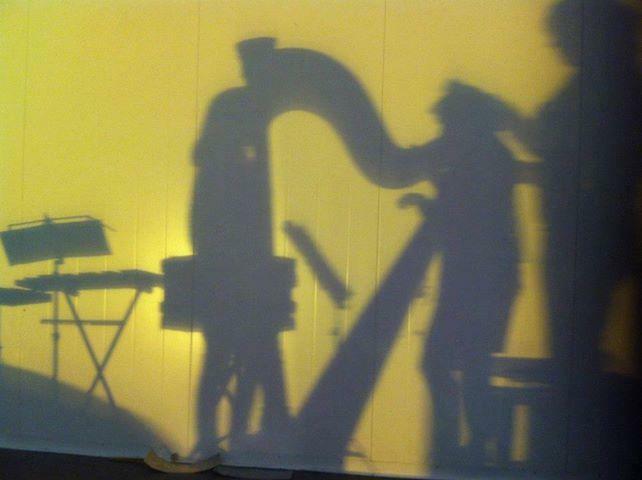 Listening to Miriam Overlach play, you hear the large variety of sounds of the harp come to life. She is a richly gifted musician, who is now one of the world's top harpists. In 2004 she was one of the stars of the Prinsengracht Festival in Amsterdam. She is a versatile artist, and always looking for new musical styles and forms of performance. She also outspokenly wishes to work with other instrumentalists and visual artists. She has played in renowned orchestras, such as the Royal Concertgebouw Orchestra, the Radio Orchestras and the Royal Flemish Philoharmonic. In November 2013 she had a month-long stint in Amsterdam playing in Götterdämmerung, the last opera in Richard Wagner's 'Ring' cycle. Miriam also leads the Ensemble Lumaka. This musical company is made up of accomplished musicians playing flute, harp and strings, and can take any form from a duo up to a quintet. Ensemble Lumaka focuses on the interbellum years of the 1920s, for which she and her colleagues share a passion. The unstoppable Miriam is also a member of the Trio Hoorcomfort, and often performs with dancers, including an impressive combination with tap dancer Marije Nie ("Divertissement à l'Espagnole'). Miriam is bubbling over with creativity, "because I think so many areas of music are interesting". Miriam lives with the well-known composer Wilbert Bulsink, who writes music for the ASKO|Schönberg Ensemble and other groups. "Harp instruction was quite conservative in Germany back then." "My grandmother had also wanted to become a harpist", adds Miriam, "but she never did. 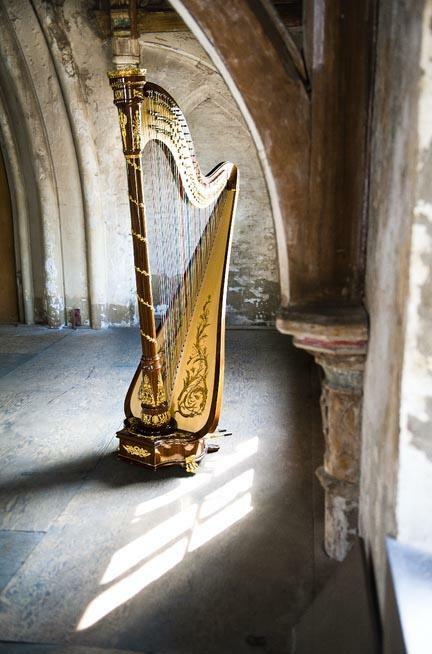 I first came into contact with the harp at the age of 6, in Hannover, where I was living. I also studied recorder, and later clarinet, but the harp was the instrument for me. I started out at a young age, renting a harp for three months, and I thought it sounded so beautiful - it was clear to me that this had to be my instrument. Then my parents and grandparents got together and bought me my own harp. I studied privately with Ellen Wegner until the end of secondary school, when I was around 19. She did a lot of chamber music and contemporary music. Harp instruction was quite conservative in Germany back then, very oriented to orchestra playing. It was assumed you would end up with a job in an opera orchestra. But that wasn't how I saw my future. I wanted to try chamber music and other things like contemporary music, and Ellen would let you do that. With the harp, you can play complete pieces as well as accompany melodies. With many other instruments, you need another instrument to accompany you. With the harp, you play the melody line with one hand, and with the other hand you play the accompanying parts. You have the complete piece. I really liked the changes of harmony." "It gives a very even sound, it's like the music just flows out of my hands." "In 2003 I bought a Salvi Arianna. I played it during all my school years, and concerts and competitons, until 2010. But I wasn't so happy with it anymore. I have small hands and don't have so much power, so my fingers always had to work very hard to get the sounds out. I also wanted a lighter instrument, a harp that was better in balance. This Salvi was a bit too shrill in the upper register and had too much bass sound. In 2010 I went to Paris with Petra van der Heide, the harpist with the Concertgebouw Orchestra, who had also studied with Erika, and I bought an Elysée made by Camac. The showroom is in Paris, but the Camac factory is in Brittany. They still make the wooden parts of the harps by hand. While I was playing this instrument (photo at right) I knew for sure that this had to be the one: the sound was beautiful, big and open. That was just what I wanted. The sound was warm and it seemed to flow out of my hands." "I learned a lot from Ellen Wegner. She was more analytically than technically oriented. She could analyse the structure of a piece very well. She worked very precisely, and quickly saw the big picture in a piece of music. Then I went to Essen to study for another year, and in 2001 I came to the Netherlands and studied with Erika Waardenburg at the Conservatory of Amsterdam. That was really fantastic. She had a large class, 14 students, so you learn and hear a lot. Erika is a wonderful teacher, with a very broad range of interests, and she knows a lot about so manny different things. I thought: : Wow! This is really where it's all happening with the arts. I can really learn a lot and develop myself here. 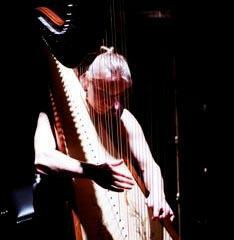 After that I had some masterclasses in France - that is also a very important country for the harp. In 2005 I had a study grant from the Prince Bernhard Cultural Fund, which enabled me to study with Brigitte Sylvestre, who was the harp teacher at the Conservatoire National de Région de Paris and the Académie Internationale d'été de Nice. Brigitte was an important harpist, who played a lot of contemporary music. I also participated in the Lucerne Festival Academy, led by composer and conductor Pierre Boulez. We had lessons from the members of Pierre Boulez' ensemble in Paris (Ensemble Intercontemporain). I had lessons from Frédérique Cambreling there, and Boulez conducted us. That was a fantastic experience, the man is now in his 80s." "A balance between classical and contemporary music is very important in my playing. I now have three CDs out: "Miriam Overlach Harp", released by the Dutch broadcasting society AVRO. I had won a competition in 2007, the Friends of the Concertgebouw competition, and the prize was in the form of a CD recording. We also recorded a quintet CD with Ensemble Lumaka, which was a prize from the "Debut" series released on Sol Classics. Lastly, I made a CD for a German label, of lovely Christmas music, entitled 'Noël de France'. That's on the Querstand label." 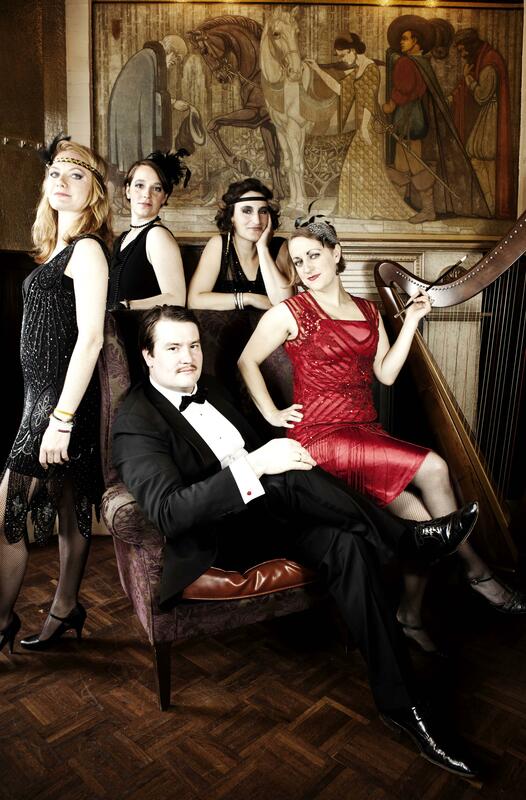 Miriam Overlach and the Ensemble Lumaka play music from the interbellum period, more or less the 1920s. "I have a predilection for the early 20th century. You can see that in everything we do with the Ensemble Lumaka - not just the music, but the clothing of the period is part of our concerts. We're always looking for undiscovered music from this period." Ensemble Lumaka is a quintet that grew out of the Trio Lumaka, founded in 2004 by flutist Jana Machalett, violist Martina Forni and of course, harpist Miriam Overlach. Later Luamaka expanded to a quintet by adding violinist Eke van Spiegel and cellist Charles Watt. Europe in the interbellum years was full of new developments, tensions and nostalgia. They were years of crisis and of progress. For Ensemble Lumaka, this was one of the most dynamic ages in music history. The ensemble has a preference for French and Dutch music from the beginning of the 20th century. "For us, the Lumaka Ensemble is really one of the high points in chamber music playing." Miriam's love of contemporary music is expressed in a few projects in which she works with composers. 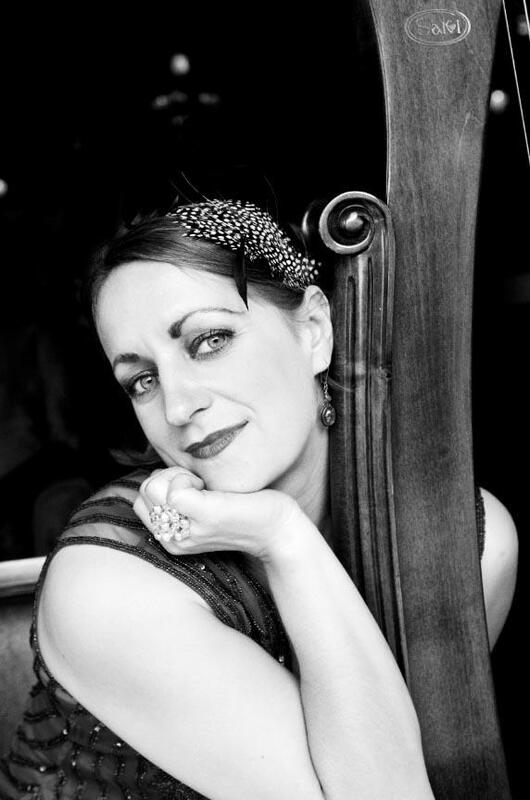 As mentioned earlier, she is involved with the composition of the Dutch Harp Festival as its artistic coordinator. Out of this grew a collaboration with fellow harpist Sabien Canton, starting up the website www.composingforharp.com. The site features short videos showing playing techniques and notations for harp, and is also a meeting place and a database for new works. The Trio Hoorcomfort consists of Annie Tangberg (cello), Miriam Overlach (harp) and percussionist/composer Bart de Vrees. Miriam also feels very happy in this group.